The Rolling Stones guitarist announced his third solo record, Crosseyed Heart, will be released on September 18, with the first single, Trouble, released on July 17. “I had a ball making this new record and working with Steve Jordan and Waddy Wachtel again,” the 71-year-old musician said. “There’s nothing like walking into a studio and having absolutely no idea what you’re going to come out with on the other end. If you’re looking for Trouble, you’ve come to the right place,” he quipped. Keith, who plays electric guitar, acoustic guitar, bass and piano on the 15-track album, also wrote most of the songs – with reggae, rock, country and blues influences – with producer Steve Jordan, which includes a duet, Illusion, with Norah Jones. His last solo album was 1992′s Main Offender. 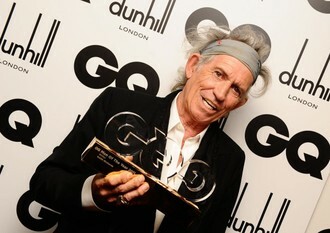 Keith is currently on tour with The Rolling Stones – Mick Jagger, Ronnie Wood and Charlie Watts – around North America.